For the ‘extra personal touch’, Porsche are taking customization one step further and offering the option to replace the product type at the back of any 911 with your choice of text. 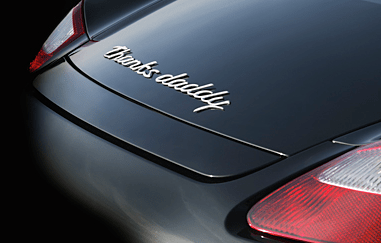 The site says “Let your creativity run wild and give your Porsche its own identity and a unique name or personal message”. This is definitely our favourite- at least they recognise who their customers are! !